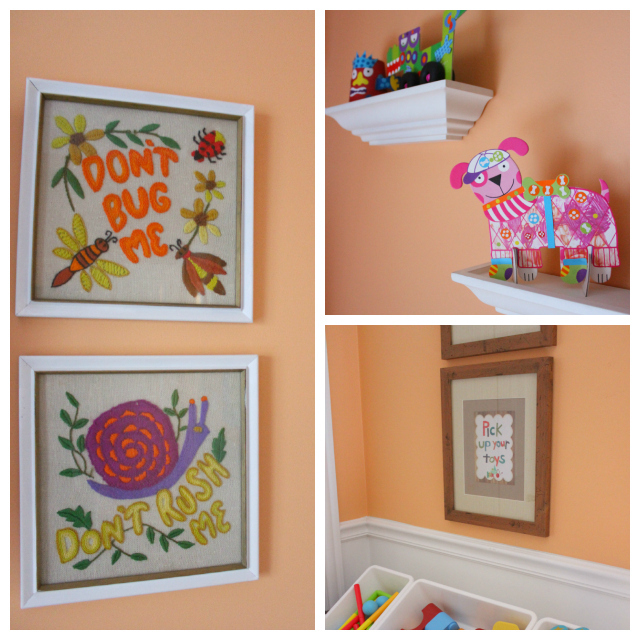 The transition from safari nursery to colorful playroom is finally complete. 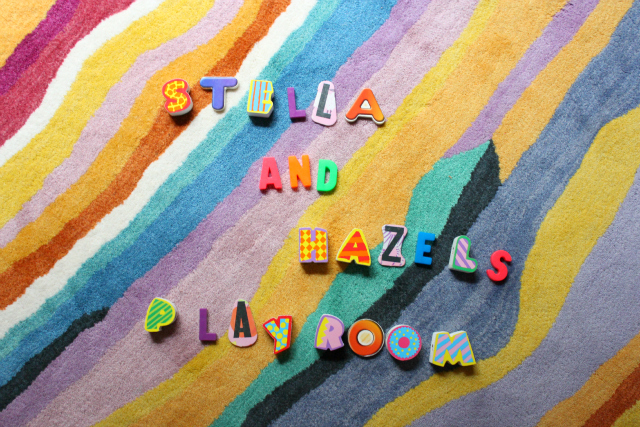 Introducing Stella and Hazel’s new playroom! 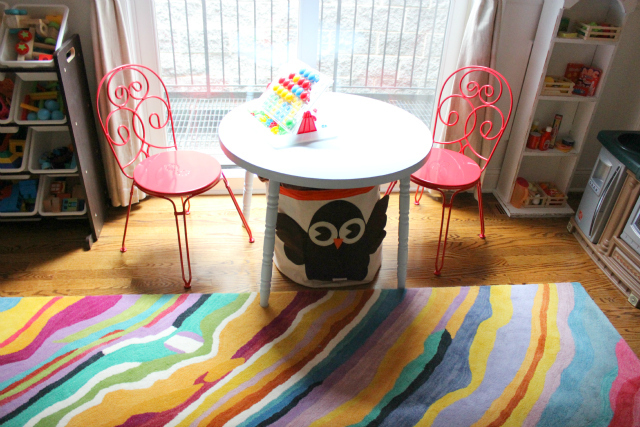 The room was inspired by this brightly colored rug from The Land of Nod. 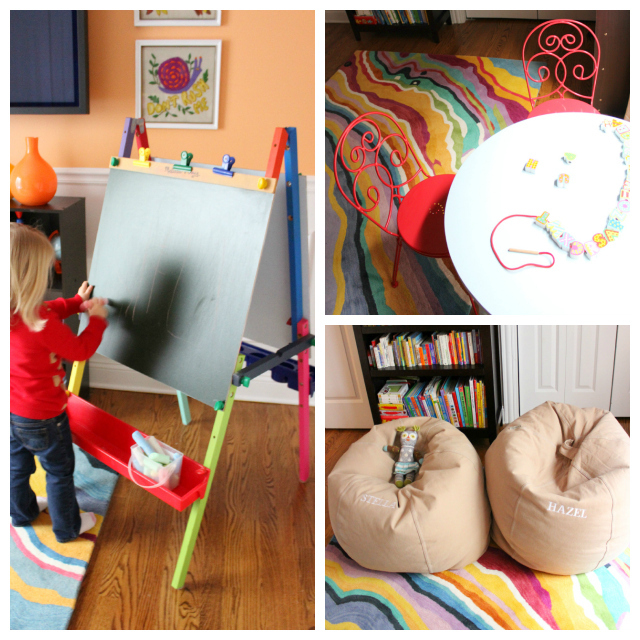 I love color and this rug is bursting with it. 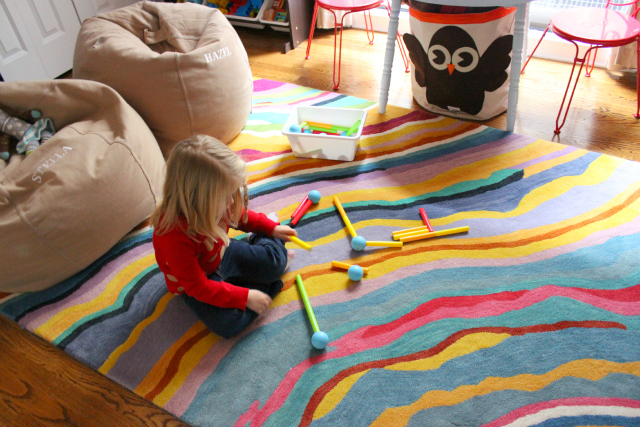 When I told The Land of Nod about my plans for the playroom they generously agreed to contribute the rug for the project – thanks guys! 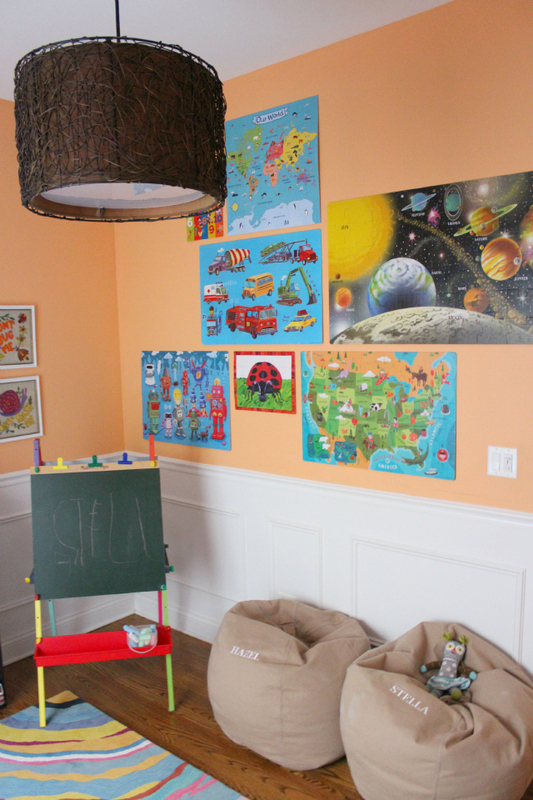 I admire The Land of Nod’s active collaboration with bloggers and real moms like myself. 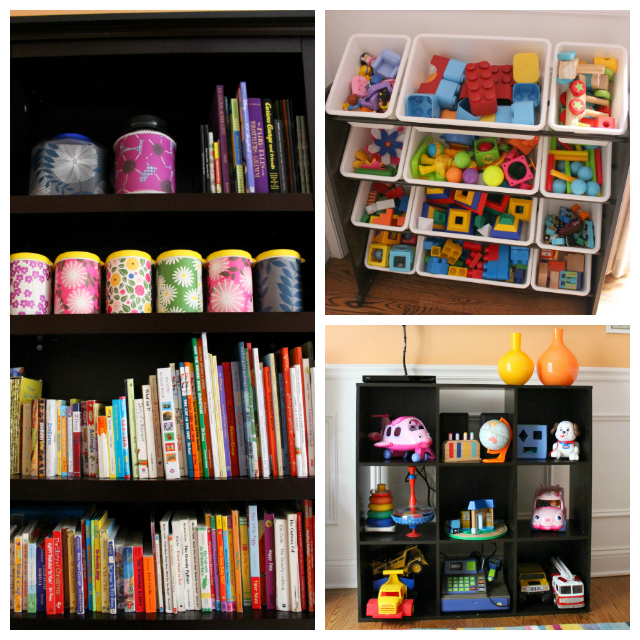 You may have noticed a number of real homes featured in their catalog and blog, such as Trina’s and Raechel’s. So cool! 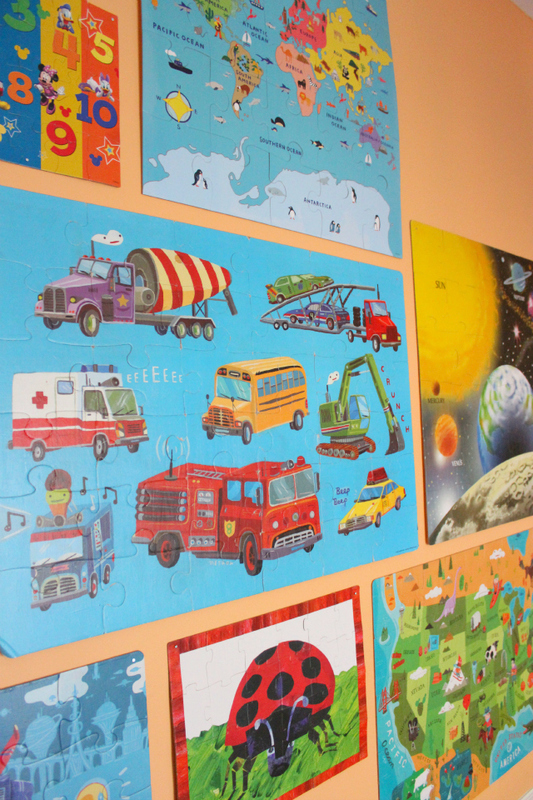 …and some of The Land of Nod’s colorful puzzles for the gallery puzzle wall. 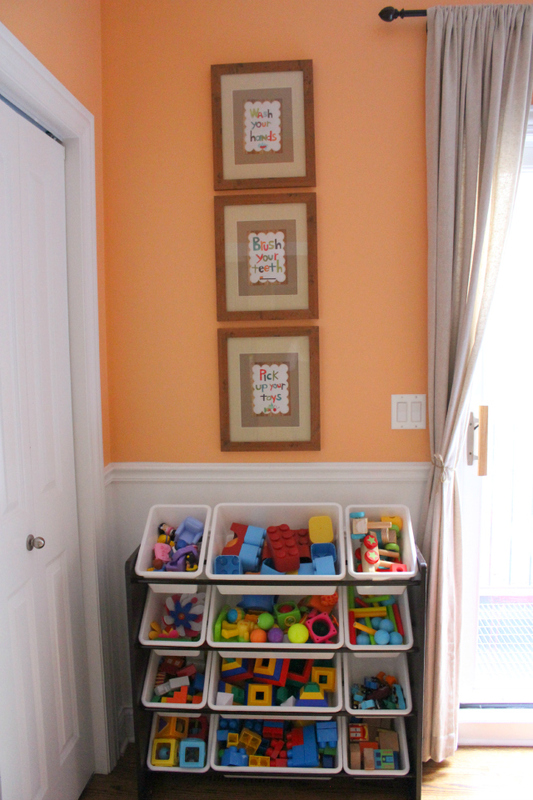 My favorite part of the new toy room is all the easily accessible toy storage (so much better than shoved into the corner of our living room!). 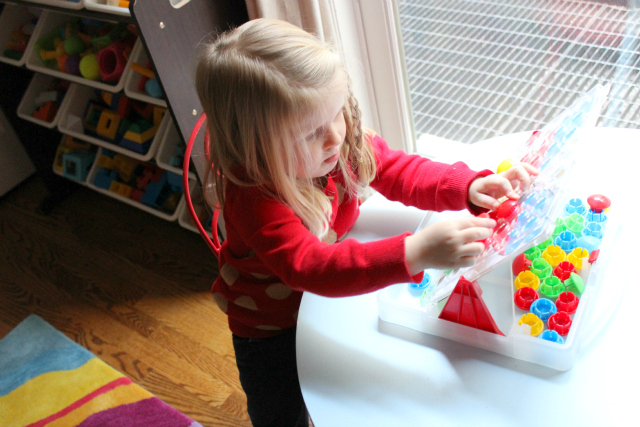 I particularly love this espresso and white toy bin from Tot Tutors. 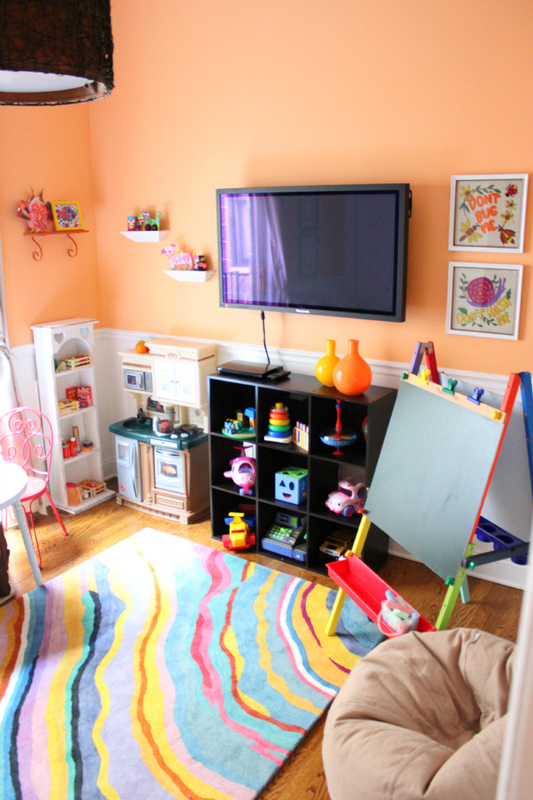 It makes clean up quick and the girls can easily carry a bin out to the living room if needed. 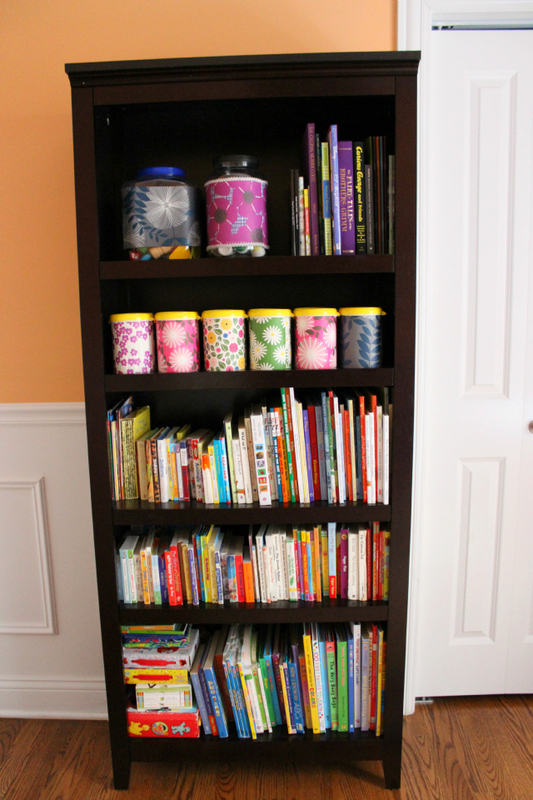 The colorful containers on the bookshelf hold all of their art supplies. 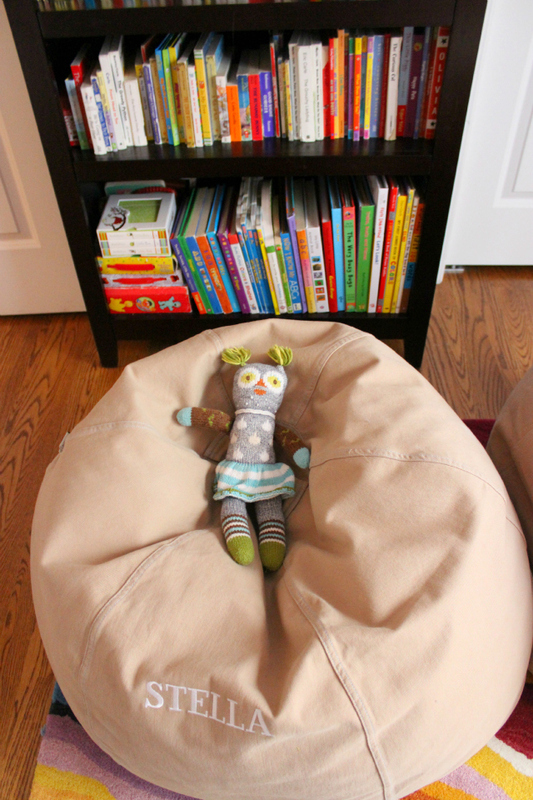 Find out how I made them! My girls are happy to have a space of their own to play in, and I’m happy to be able to shut the door on the mess at the end of the day!